Voters in the state's primary runoff elections put two Texans, one Republican and one Democrat, on track to join the state's delegation in Washington, D.C.
Republican Jodey Arrington and Democrat Vicente Gonzalez won their party runoffs Tuesday evening, and are all but certain to come to Congress next year. Arrington, a former Texas Tech University vice chancellor, defeated his Republican rival, Lubbock Mayor Glen Robertson, in the party runoff to replace retiring U.S. Rep. Randy Neugebauer in West Texas' 19th Congressional District. Arrington ended the night with about 25,200 votes, or 54 percent of those cast, to Robertson's 21,769, or 46 percent. The 19th Congressional District is one of the most conservative House seats in the country. Arrington will face Green Party candidate Mark Lawson and Libertarian Party candidate Troy Bonar in the general election. No Democrat is running. Robertson largely funded his own campaign, loaning his organization well over $1 million. Arrington ran a more traditional race, with hundreds of individual donations. And those donations were high profile. Former President George W. Bush and former First Lady Laura Bush donated to Arrington. Former Texas Gov. Rick Perry, whose hometown of Paint Creek is in the district, endorsed Arrington as well. Neugebauer announced his retirement in September. Gonzalez, an attorney, defeated Edinburg School Board Member Juan "Sonny" Palacios, Jr. in South Texas' 15th District Democratic runoff. This is a race to replace retiring U.S. Rep. Rubén Hinojosa. Gonzalez, who held a wide lead, supported his own campaign with more than $1 million worth of personal loans and also had the backing of around a dozen Democratic members of Congress. Gonzalez ended the night with 16,063 votes, about 66 percent of those cast, to Palacios' 8,369. 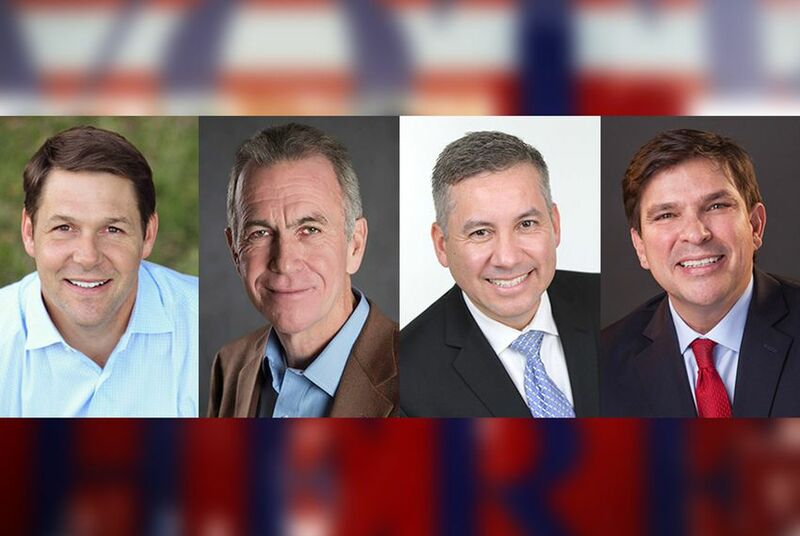 Gonzalez will face the GOP runoff winner, Pastor Tim Westley, in the general election, as well as Green Party candidate Vanessa Tijerina and Libertarian Party candidate Ross Lynn Leone. Westley beat former Rio Grande City Mayor Ruben Villarreal by 91 votes on Tuesday night. The 15th Congressional District is a Democratic stronghold, and it is likely Gonzalez will win the seat in the fall. Hinojosa announced his retirement in November.